Momsense Breastfeeding Meter Review: Should You Buy it? What is MomSense Breastfeeding Meter? Should you buy a breastfeeding meter? Here is the first complete Guide on Momsense - The Smart Breastfeeding Meter. Read Momsense Breastfeeding Meter Review. 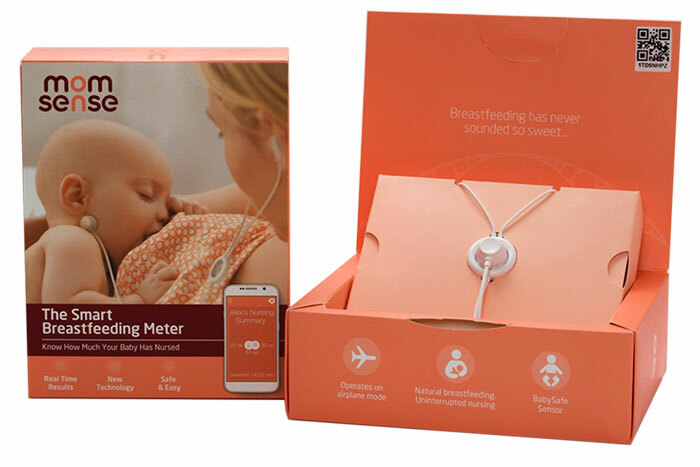 Mothers are increasing relying on technology to assist breastfeeding (breast pumps), making their babies safe (baby monitors, cribs) and now there is a new gadget on the block – Momsense Breastfeeding meter. The name of this gadget is self-explanatory. But how does it work and should you buy a Momsense breastfeeding meter? We moms know how taxing breastfeeding a newborn could be. A newborn can feed up to 12 times a day or more. How is a mom supposed to keep a track of the number of times and amount? Let me ask you a question, do you even know how much your baby drinks every day?Here is where, Momsense, The Smart Breastfeeding Meter take charge and measures how much your baby drinks in a day. I must admit it made my volunteer’s life easier and simpler. How Does Momsense Breastfeeding Meter Work? My volunteer mom bit apprehensive when started-off Momsense breastfeeding meter review. She thought that the Momsense sensor is supposed to be attached to her breasts! Here is a step-by-step process on how to use Momsense breastfeeding meter easily. Download and register Momsense app from Appstore or Google Play. ​Plugin the momsense phone jack to your smartphone or tablet. Remove one baby safe sticker from the strip provided by Momsense and stick it to the flat side of the baby sensor and remove the cover. Open the app and switch to the flight mode. Now, you’re ready to use the Momsense breastfeeding meter. Place the sensor directly below the ear lobe in the diagonal line along the jawline. Once positioned, press start on the Momsense app and start breastfeeding. While using the meter, use your earphones to follow the animations on app to listen to your baby swallows. If you cannot hear the baby swallows, reposition the sensor. When the baby stops feeding, a report is generated which shows how much milk your baby nursed. The mom who used it for a week could not keep gushing. In her Momsense Breastfeeding Meter review, she mentioned that all the feeding sessions were properly tracked and she was relieved to find that her baby was drinking properly. She also never had a problem of not been able to hear the sound of gulp. The best part is the app and sensor are sensitive and smart enough to distinguish between swallows and other gurgles or noises from baby. We found the operating Momsense was very easy and the UI was very intuitive. Though, the meter kept a tab of all sessions and the milk quality, it doesn’t tell you how much a baby should ideally drink. This is a welcome move, as every baby has a different requirement and a gadget like this should not take up the function of advising on an aspect that comes under the domain of a healthcare professional. Rather than providing graphs, the app shows each day as a circle with each session represented by another circle orbiting. More the milk is consumed, bigger is the circle. By tapping on the circle, you can find out the details like time spent on nursing and the amount from both breasts. I don’t think anyone can claim that the device can accurately calculate the amount of milk consumed. But I assume that it gives good enough idea for moms about their baby’s diet and feeding pattern. I strongly recommend mom not to take the meter readings seriously. 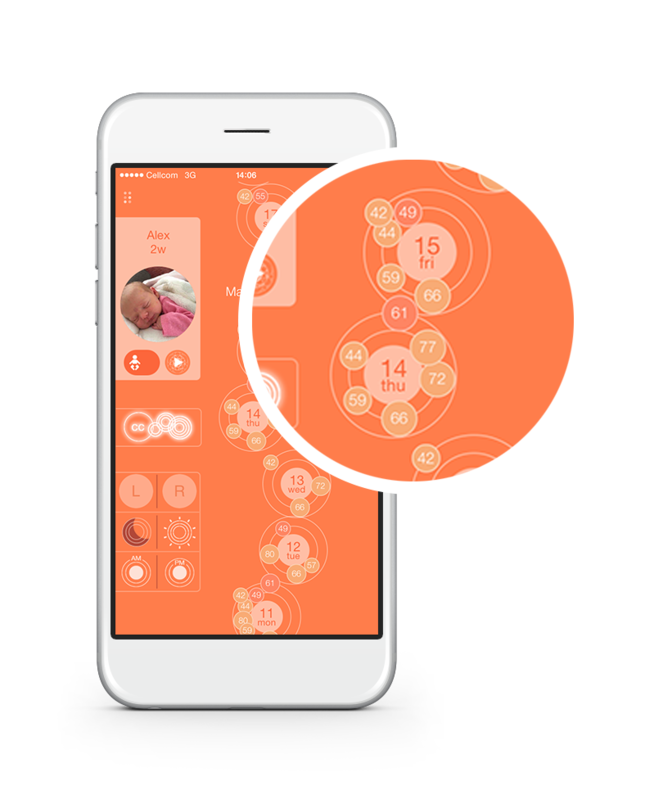 Moms can use it to track the amount of feeds and get an idea. If the app shows that your baby is consistently drinking less milk, then you can discuss the issue with your doctor or lactation consultant. Below are​ some of pros and cons we found in our Momsense Breastfeeding Meter Review. Momsense is easy to use and very intuitive. It keeps track of a baby’s nursing time, times and amount of milk. Though, I cannot vouch for its accuracy, I recommend it to moms who want to know how well their baby is nursing. For around 80$, it’s worth a try.